International Romani Day, also known as International Roma Day, takes place on 8 April to celebrate Romani culture and raise awareness of the issues facing Romani people. 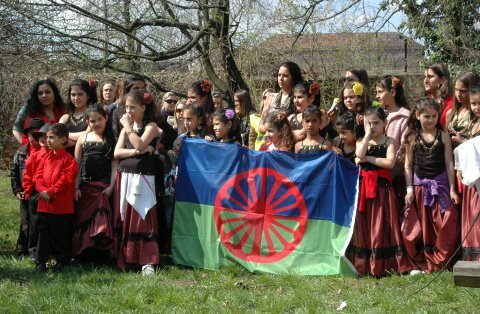 It was established in honour of the first major international meeting of Romani representatives, on April 7–12, 1971, in London, according to a statement of the Ministry of Labour, Social Security and Social Solidarity. Greek President Pavlopoulos meets Roma childrenGreek President Prokopios Pavlopoulos on Saturday, International Roma Day, met with a group of Roma kids from Aliveri, Volos. During his speech, Pavlopoulos referred to the difficulties that the Greek people are experiencing and stressed the need for the Greek society to keep its unity in order to remain democratic and continue to show solidarity, which is a part of its DNA. Addressing the kids, he said that “a democratic society must be a society of participation. It must accept the participation of everyone,” it must respect diversity and individuality. “However, in order to participate and respect diversity, we must respect one basic principle, that of equality,” he stated.